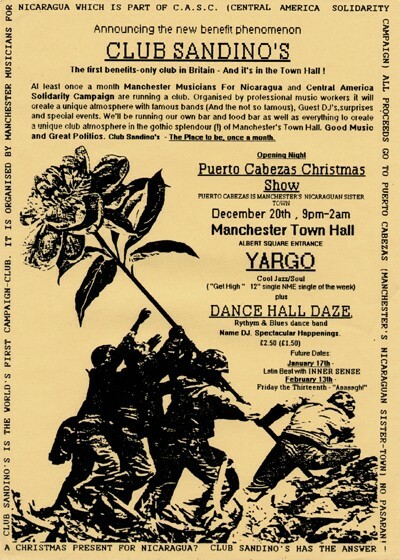 Flyer for Yargo's Club Sandino's appearance. Sandino's was co-organised by Gwil Stevenson, manager of Dislocation Dance. that looks like an interesting night. what other bands and artists played there? i don't remember it at all!